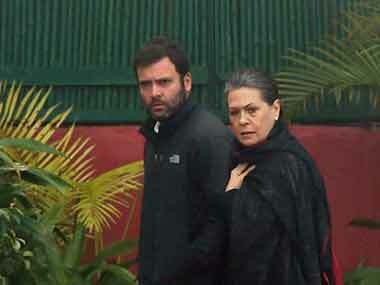 Sonia turns 70: Can Rahul match his mother who battled all odds to reach where she did? 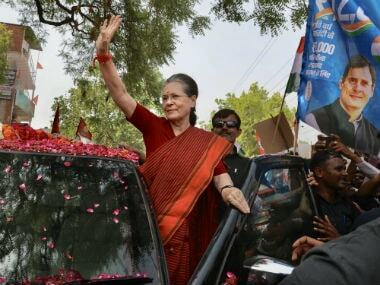 Congress president Sonia Gandhi is getting ready to bequeath to her 46-year-old son Rahul Gandhi virtually the same set of challenges that she had inherited from PV Narasimha Rao and Sitaram Kesri when she entered politics two decades back. Sonia turned 70 on 9 December and in the coming days is likely to call a meeting of the Congress Working Committee to formally endorse its 7 November recommendation to elevate Rahul as party president. It is no secret that Rahul is to take over from her but the Congress had denied news reports in 2013 that Sonia had, on her birthday in 2012, told some leaders that she would step down as party chief once she touches 70. Worried about the fallout of such a move, the leaders had proposed that Rahul be elevated. Accordingly, he was made vice-president in January 2013. Giving veracity to those news reports, the transfer of leadership will happen during her 70th year. Sonia, on her part, would most likely play the role of a guide, advisor and mentor in view of the challenges that lie before the party and the need to ensure a rebellion-free transition for her son whose style of functioning and leadership qualities had often come for criticism. In 1997 when Sonia stepped out of her cloistered existence at 10 Janpath the challenges she faced, both personal and political, were humongous. The Congress’s fortunes were declining, its image was sullied and it was suffering from a crisis of confidence and credibility. She, on her part, had no political experience but the Gandhi name to help her in the task she had set for herself: stem and reverse the party’s decline, revamp its image, restore its appeal and make it count again. 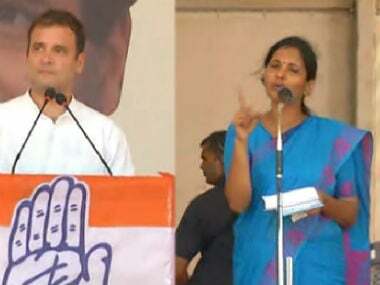 She began in 1997 by attending the Congress plenary meeting in Kolkata and addressed a rally at Sriperumbudur where her husband and former prime minister Rajiv Gandhi was assassinated in 1991. The following year became the Congress president — a post she continues to hold, making her the longest serving chief of the party that has been helmed by several members of the Gandhi-Nehru family, including Motilal Nehru, Jawaharlal Nehru, Indira Gandhi and Rajiv Gandhi. In the early years, Sonia was slammed for her foreign origins and her heavily accented Hindi. She was dismissed as a reader (of speeches) rather than a leader despite her carefully cultivated image that stoked memories of her mother-in-law Indira Gandhi in her sartorial style and gait. The fact that the party under her could win just 114 Lok Sabha seats in 1999 — 37 less than the previous election — only accentuated the skepticism of Congressmen about her leadership so much so that in the run-up to the 2004 Lok Sabha polls they would petition her to induct her daughter Priyanka into politics in the hope that her striking resemblance to Indira would strike a chord with the voters. 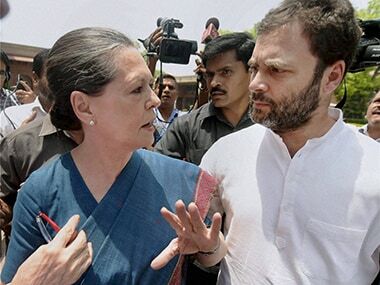 Sonia managed to silence her critics with some deft political moves. She reworked the Congress’ image with a pro-poor, pro-people slant, gave it the catchy slogan of Congress ka haath, aam aadmi ke saath, chucked the party’s ekla chalo (go it alone) policy, struck up alliances, increased the party’s seats in Lok Sabha and brought a Congress-led coalition to power in 2004 and 2009. With the entire political spectrum against the leadership of a foreign-born person — Sharad Pawar split the Congress on this issue — Sonia’s decision to renounce the prime minister’s post in 2004 immediately placed her on a pedestal and above all the criticism against her. She consolidated her position by ensuring that the Manmohan Singh government came out with some radical programmes, including the farm loan waiver scheme, the right to information, the employment guarantee act, the Right to Education and the Food Security Act. But it all started unraveling during UPA 2 (2009-14). Serial scams, charges of corruption, price rise, lethargy in the organisation and a paralysis in governance took a heavy toll of the Congress party and the Congress-led government. And when the Lok Sabha elections were held in 2014, the party could not open its account in 19 states and Union Territories and could win just 44 seats, a humiliating defeat from which it has yet to recover. Indeed, part of the blame for the sorry state of the party lies with Sonia. During the decade that the Congress-led coalition was in power, she failed to strengthen the organisation, especially in states like Uttar Pradesh, Bihar and West Bengal — which account for 162 Lok Sabha seats — and where it had been overrun by regional parties or for that matter in Gujarat, Madhya Pradesh or Chhattisgarh, where it had been displaced by the BJP. It had lost out to the Dravidian parties some 50 years back. But her biggest failing was her blind spot for her son who she has been assiduously grooming and promoting for the big job. She ushered him into politics as an MP in 2004 and then elevated him as party general secretary in 2007 and vice-president in 2013. And now the process is on to anoint him party chief in keeping with her plans. When she hands over the baton, Sonia will leave for Rahul several challenges to deal with, many of them perhaps far worse than what she had faced: the Congress’s stock has plummeted, its footprint erased from large parts of the country and its image so corroded by scandals that the party and its leaders have lost their appeal and credibility with the people. Of the many challenges she will hand over to Rahul, there are three major ones: reviving the party, reconstructing a social base and rebuilding the credibility and image of the leadership. The first is to reactivate the organisation into a fighting unit. While 10 years in power at the Centre has rusted the machine, the party lay shell-shocked for a year after a series of electoral defeats, including in the assembly and Lok Sabha polls. Even though Rahul has been running the show since his elevation as vice-president in January 2013, it is only after the formal transition takes place from Sonia to Rahul as party chief that there would some clarity would occur, especially after he restructures the organisation in keeping with whatever plans he has for the party. The crisis that the party faces can be gauged from the fact that it has won a measly 261 seats out of the 2,226 that last went to polls and is in power on its own in just seven states: Himachal Pradesh, Uttarakhand, Karnataka (the biggest of the lot), Arunachal Pradesh, Manipur, Mizoram, Meghalaya and shares power in Bihar and Puducherry. A huge geographical area is now out of its reach and the party, which once dominated India, does not even have the status of leader of opposition in several states. It was squeezed out of Tamil Nadu by Dravidian parties 50 years back. Regional and region based parties like the Trinamool Congress, SP, BSP, RJD, JD(U), BJD, Telugu Desam or the TRS have emerged as strong forces in West Bengal, Uttar Pradesh, Bihar, Odisha, Andhra Pradesh and Telangana respectively. The ruling BJP is displacing it at the national level and newer forces like the Aam Aadmi Party have elbowed it out from Delhi. The Congress is now desperately praying that the situation improves somewhat in 2017-18 when the voting in 15 states would set the stage for the 2019 general elections. These states include Punjab (Akali-BJP), UP (Samajwadi Party), Gujarat and Goa (BJP) and Congress ruled Manipur, Uttarakhand and Himachal Pradesh which poll in 2017. Out of the eight states slated for elections in 2018, Chhattisgarh, Madhya Pradesh and Rajasthan are ruled by the BJP while the Congress is in power in Mizoram and Karnataka. Meghalaya, Tripura and Nagaland are the other three states. Much would depend on how Rahul handles the organisation when his elevation is formalised. Many believe that his experiments with the party’s frontal organisations haven’t been much of a success. The second is the challenge of trying to build a social coalition the Congress can lean on. Its erstwhile support base of upper castes-minorities-scheduled castes has long been hijacked by other parties. Sonia tried to get around this problem by reaching out to the poor and the disadvantaged and building political alliances with parties which had their own dedicated vote banks—a strategy that worked in 2004. She added strength to this strategy by adding to her pro-poor image by getting the middle classes on to the Congress’s side through Manmohan Singh and the aspirational youth with Rahul. All that has now fallen by the wayside. Rahul has to start anew. And he is trying to do this by trying to connect with farmers, weavers, fishermen, dalits and other marginalised groups while painting the Modi-led government as pro-rich and pro-corporates. The BJP-NDA’s demonetisation drive has prompted him to line up with the common people outside banks and ATMs. But whether Rahul will succeed in his mission remains an open question. The third main challenge that she is going to leave for him is to rebuild the party as a credible force and a potential alternative to the ruling combine at the Centre. The Congress, no doubt, has managed to grab the headlines by attacking the Modi government in Parliament for its divisive and communal ideology, for recycling UPA’s policies such as Nirmal Bharat Abhiyan as its own and for the faulty implementation of the half-baked demonetisation drive. But there does not appear to be a clear roadmap at the moment. But the big question is whether Rahul measure up to the challenge? Like Sonia, Rahul too was and continues to be ridiculed. At various points of time been derided as an Amul baby, a Complan boy, Rahul baba (kid), Pappu (dumb kid) or a shehzada (princeling) who had got it all on the plate and wasn’t responsible or interested enough to hold the high position Sonia wanted to install him in. During the 10 years of the UPA in power, when Rahul made news it was often for the wrong reasons: he was not seen or heard in Parliament; he showed himself to be hotheaded, immature and rude when he tore up a piece of paper to express his disapproval of Manmohan Singh’s cabinet’s move to bring an ordinance to shield convicted lawmakers; he was considered a shirker for refusing to join the government or leading the parliamentary party in the Lok Sabha post-2014 elections. As general secretary and vice-president, he was often unavailable and inaccessible even to senior leaders and the old guard. But the real disenchantment set in when he could not inspire the voters and the party lost election after election under his stewardship. This included the 2014 polls which was billed as a battle between him and Narendra Modi. Not surprisingly, he was openly attacked by his own workers and leaders who once again raised the cry for Priyanka’s entry into politics. Although Sonia tried to shield him by taking on the blame for the debacle on herself, a harried Rahul disappeared for almost two months to think things out for himself and the party. When he returned in April 2015, he seemed to have transformed himself for the new situation. He ensured he was seen and heard both inside and outside Parliament. He was aggressive and ready to take on Modi with his jibes of suit boot ki sarkar, arhar Modi and PayTM means Pay to Modi. 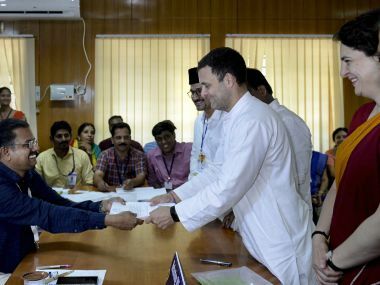 But Rahul:1 continues to resurface as he did with his ill-timed khoon ki dalali charge against Modi over the surgical strikes or his ill-timed smiles during AIADMK leader J Jayalalithaa’s funeral. 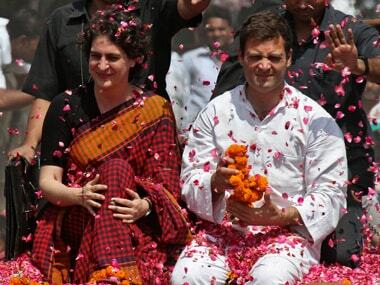 On her part, Sonia is giving him space to grow so that he becomes the face of the party. It was Rahul and not she who chaired the 7 November Congress Working Committee and the 2 December Congress parliamentary party meetings. Rahul also led the opposition protest against the tardy implementation of demonetisation first near Gandhi statue in Parliament House and later in submitting a memorandum to President Pranab Mukherjee. The delegation did not include some of the top rung opposition leaders. Rahul still has a long way to go to be accepted by the workers, like- minded parties and voters. Until he delivers on the ground, he will remain on the scanner. 1Sonia turns 70: Can Rahul match his mother who battled all odds to reach where she did?